A question I received: Why does the Torah justify Jacob when he lies to Esau? Esau comes to Jacob with open arms, yet Jacob turns away from him and tries to buy himself off with gifts. My Answer: The Torah speaks about a person’s correction, whereby he becomes similar to the Creator. Jacob represents the intention of bestowal and Esau represents the will to receive, our egoism. Esau doesn’t understand that he always remains empty because his intention is “for the sake of himself,” and that only by changing it to the intention of “for others” will he instantly be filled by the Upper, eternal fulfillment – the Light. This is something egoism doesn’t understand, and that’s why a person must trick his egoism. He has to entice the ego to work on spiritual development by telling it that it will avoid suffering and to be filled by spiritual fulfillment and revelation. This way, one’s egoism helps one to study Kabbalah, because it expects fulfillment from it. It studies Lo Lishma – for the sake of oneself. However, in the process of studying, connecting with friends, and thereby receiving the Light of Correction, the person ceases valuing the intention “for himself” and instead starts valuing the intention “to bestow” – for the sake of others, for the sake of the Creator. This happens by virtue of the Light’s influence. And when one’s intention changes, he can begin to use his egoism (Esau) in order to receive for the sake of bestowal. This is how one attains eternal, perfect fulfillment. This maneuver is similar to the way we trick or entice a child to study, and eventually he comes to understand that it was done for his own good. This is how the Creator plays with each and every one of us. Question: Why must correction happen over numerous lifetimes instead of in one extended lifetime? Is there a spiritual necessity for corporeal death? Would people avoid correction if it meant an extended corporeal existence, thus granting egoism the victory? My Answer: The body goes through renewal because its inner qualities are renewed. These qualities cannot go through the change while in the same body, since a particular body is always the most suitable for realizing a particular set of qualities. 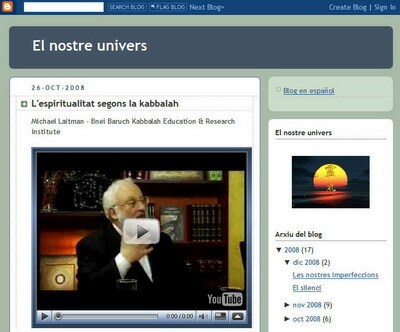 Question: Will the soul of a deceased person return to this world regardless of whether this person studied Kabbalah? Question: When there’s a physical death, the Light departs from the will to receive, and if that person hasn’t developed a soul, then he has no soul to live in the spiritual world. Consequently, the will to receive is once again clothed into another corporeal body – this is called reincarnation. But what are ghosts: creatures that don’t have a corporeal body but they can be photographed or captured on film? My Answer: They are no more than physical (optical) phenomena that only seem to appear to you! Laitman.com Post: Demons, Spirits, Angels, Devils – Do they Exist? Speaking with me was Ram Shmueli, Brigadier-General in reserve, previously head of the Intelligence Squadron and commander of an Air Force base. Chairman of a public committee overseeing the Ministry of Education. As chairman of a public committee overseeing the Ministry of Education, Ram understands the problems of educating the growing and adult generations on the local and global scales. But all the ministries of education are powerless to do anything. We’re helpless when it comes to what we hold most dear – our children. We are unable to shape them well, and we instead leave this task to the egoism that’s raging inside them. We just let their egoism force them to collide with one another, make them its miserable prisoners, without a moment of rest. And all of this is happening because we did not receive the proper education either. We weren’t brought up to be “human beings”; we didn’t receive an explanation of our make up, desires, and qualities, of what governs us, where our freedom of choice lies, what are the laws governing an individual and the society, and what the laws of our development are. In fact, we don’t know anything about ourselves or what’s around us. This is why our life looks the way it does – it’s taking place in the dark.